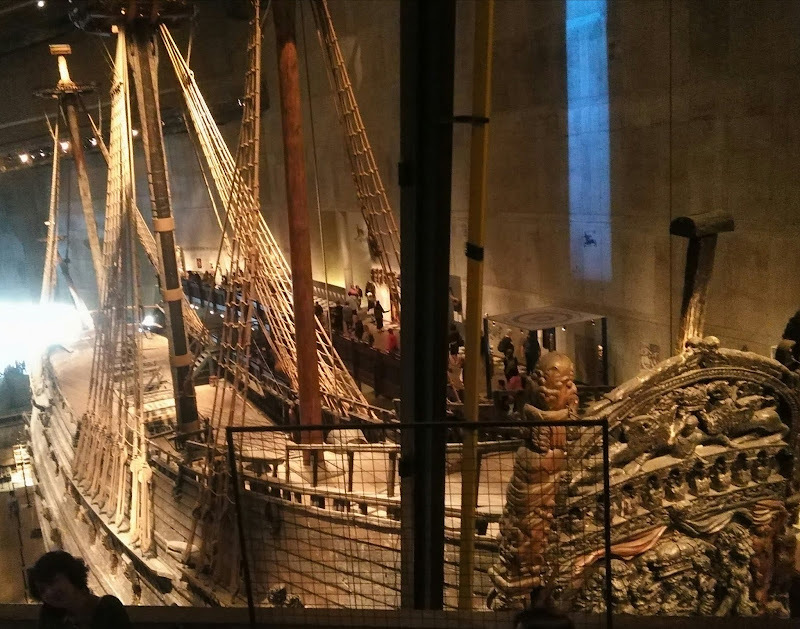 Quick update on my blog from the brilliant Vasa museum in Stockholm. One of my peak experiences. The museum's silence amplifies the experience. Doesnt it though. Cool museum. Much better than the Mary Rose. "The ship is in remarkable condition when you consider she sat at the bottom of the Baltic for 300 years before being recovered and put into the Museum." It was just a black hulk more or less sans any features back then. "This miniature statue is one of a series made in the 1950's after the model of the famous running statue of Paavo Nurmi sculpted by Wäinö Aaltonen in 1925. Hundreds of miniature statues like this were sold to fund the building of a new sports hall at the Technological University campus at Otaniemi. Their exact number is not known. A statue like this was used in a celebrated practical joke. In April 1961 Swedish marine archeologists were about to salvage the wreck of the Vasa, warship sunk in 1628 off the harbour of Stockholm. In the night before the ship was to be raised from the water, a group of Finnish student divers planted a statue to the ship's deck, complete with the inscription in convincing Latin: "Paavo Nurmi, the Great Finnish Runner"." The Swedish archeologists were baffled and the story about the statue on the deck quickly made it to news. Finally the students held their own press conference and explained what had happened. Also apparently he stunt was aimed at highlighting the fact that Sweden had prevented Nurmi from competing in the 1932 summer Olympics in Los Angeles.